I’ve been a Joss Whedon fan since high school, a little late to the game compared with diehard Buffy fans, but well ahead of the Avengers curve. As someone who has been championing his work to my friends since I first discovered the Buffy DVDs in my local library, it’s been great to see how his recent mainstream success is attracting new followers to his older work. Pascale’s biography capitalizes on his recent accolades to bring his entire story and body of work into the mainstream. 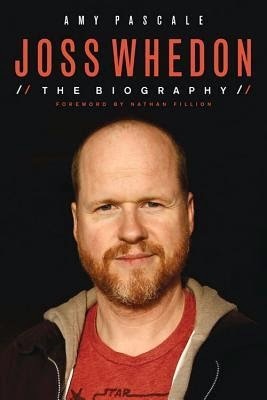 The book is thoroughly-researched, and presents Whedon’s life story to date in a concise, clear narrative – not easy to do for a man who was frequently working on three different, massive projects at once. She explains his importance as a feminist and atheist advocate in American pop culture, and the personal connections these identities have on his work. There’s not a ton of new information here for longtime fans, but Pascale’s book still shines for its countless interviews with Whedon’s friends and co-workers. Nathan Fillion’s introduction kicks off a smorgasbord of praise and exaltation from those who have worked over, under, or alongside him over the years. It provides a well of behind-the-scenes stories and paints a clear picture of an artist whose talent is recognized by all with whom he works and inspires devotion from his friends and fans alike. Verdict: Affirmed – for fans old and new, Pascale’s biography provides a glimpse into the life and work of a creative genius who is hopefully far from the end of his career. "Joss Whedon: The Biography" by Amy Pascale, published by Chicago Review Press on August 1, 2014.